Over the past hundred years many young people have contributed to the struggle for peace and social justice. Here are some examples of their work. 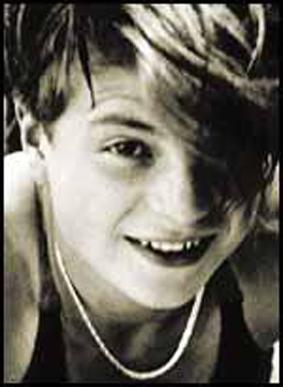 Sophie Scholl helped establish White Rose, a student resistance movement which operated in Germany during World War II. The White Rose organized a leaflet and graffiti campaign calling for opposition to the Nazi regime. Sophie was one of the six leaders who were captured, tried for treason and executed for this work. Today, the White Rose youth, and particularly Sophie Scholl, are honoured in Germany as heroes. For more information on Sophie’s life and links to YouTube videos click here. The SAGE Tour: In1986 four Montréal high school students took a year to travel across Canada and speak to Canadian youth about the threat of nuclear war and actions for peace. They were all members of Students Against Global Extermination (SAGE). Their tour reached over 100,000 Canadian youth. For more information click here. Malala Yousafzai is a world famous young Pakistani activist who speaks for the right of education for girls. As a young girl she was determined to attend school, even though the local Taliban continually threatened her. When she was 15 years old she was shot by a member of the Taliban while she was on her way home from school. She was almost died from the injuries. Once Malala recovered from her injuries she continued her advocacy work. In 2014, at age 17 years, Malala was named the co-recipient of the Nobel Peace Prize for her struggle against the suppression of children and for the right of all children to education. 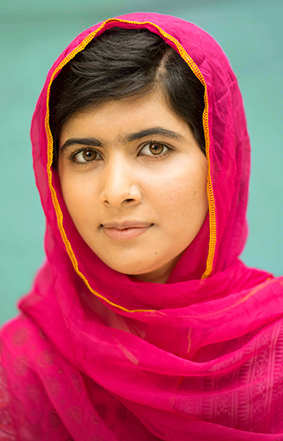 For more information on Malala click here. United Network of Young Peacebuilders (UNOYP) is a network of youth peace organisations from around the world. It has 70 member organisations in 45 countries. UNOY’s mission is to bring the voices of young peacebuilders to the attention of international policy-makers, advocating for increased youth participation in peacebuilding and a culture of peace. For more information on UNOY please click here. The Youth for Peace Network was created in the early 2000s as a mechanism to support young people’s work in peacebuilding and the elimination of conflict-based sexual violence. This 50 year long war, where young people were used by all sides in the conflict, is finally coming to an end. During the war, any talk of “peace” or “social justice” was met with suspicion by the armed groups. Many young people lost their lives. 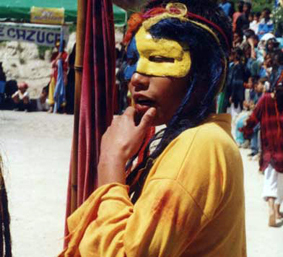 For a discussion on peacebuilding by Colombian youth peace activists, click here. 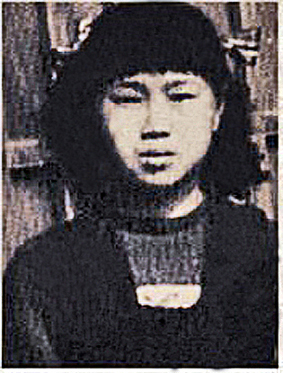 Sadako Sasaki was two years old in 1945 when an atomic bomb was dropped on her home city of Hiroshima. Ten years later she became sick from radiation sickness. Sadako is the inspiration for the peace cranes movement, a yearly event which involves hundreds of thousands of students around the world in a pledge for peace. For more information on Sadako’s life, click here. Watye Ki Gen (We Have Hope for the Future) and CAP Uganda are community based organizations based in Gulu, Northern Uganda. They were created to promote peacebuilding and reconciliation from the social wounds caused by Northern Uganda’s 20 year long civil war. Watye Ki Gen was created by young females who were abducted by the Lord’s Resistance Army and forced to be wives and soldiers for this armed group. 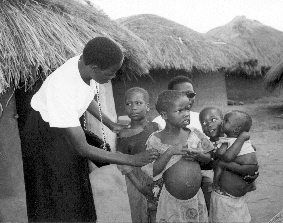 CAP Uganda has focused on general issues of forgiveness. 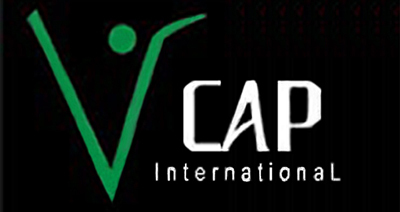 For more information on Watye Ki Gen and CAP Uganda please click here. 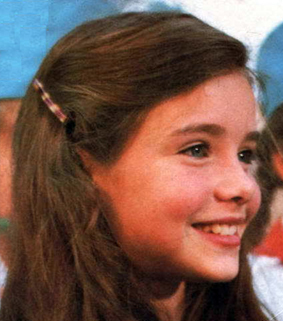 In 1983 Samantha Smith, an 11 year-old, began her quest for peace. She, like many children her age, was worried about the possibility of a nuclear war and decided to do something about it. Samantha wrote to Soviet Premier Yuri Andropov, first congratulating him on his new job and then asking him if he was going to vote for war. Andropov responded by inviting her to visit the Soviet Union, creating one of the few spaces of communication between the two nations during the Cold War when Samantha and her family accepted the invitation. For more information on Samantha Smith click here. 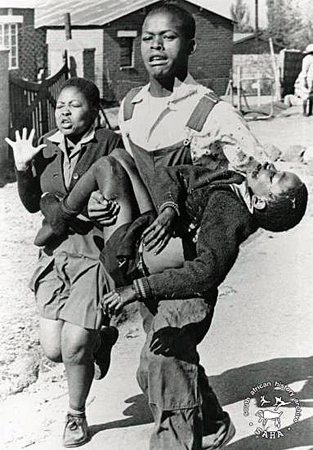 Hector Pieterson, age 13, was one of the first students to be killed on 16th of June, 1976 during the Student Uprising in Soweto against South Africa’s apartheid regime. The memorial for Hector Pieterson states: “In memory of Hector Pieterson and all the other heroes and heroines of our struggle who laid down their lives for freedom, peace and democracy.” For more information on Hector Pieterson and the student protests against apartheid click here. Middle East Children's Alliance is one of many youth groups in the Middle East that are working for peace. 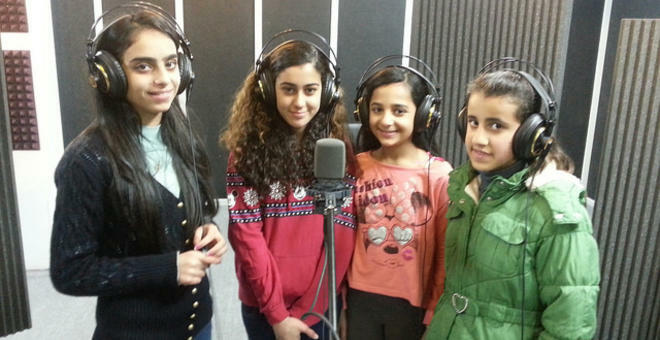 These girls are members of a program operating in the Dheisheh Refugee Camp. There are so many youth organisations working for peace in Palestine and Israel that it is difficult to single out one individual or group.To learn more about peace groups in this region and the types of activities they do to promote peace and cross-cultural understanding, please click here. 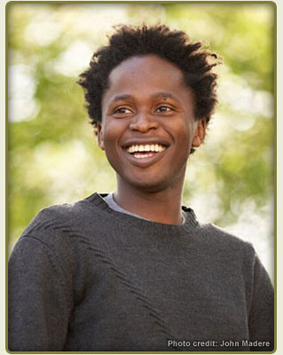 Ishmael Beah was 13 years old in 1993 when he was forced to join an armed group in Sierra Leone’s civil war (1991 – 1997). He escaped three years later and and later wrote a memoir titled A Long Way Gone which helped thousands of readers to understand what it means to be a child soldier in today’s civil wars. Ishmael is a tireless worker for the rights of child soldiers and the youth of his birth country. For more information on Ishmael click here. The youth in this picture are members of the United Church Pilgrims for Peace and Justice, just one of many youth organizations in Canada that are working for social justice. This includes a wide range of goals and activities, with the recognition that the path to sustainable peace involves many elements. Several groups have focused on environmental issues and climate change. They understand that proper care and respect for our natural environment is the foundation for peaceful co-existence in our world. Others are advocating for “violence free schools”. Many schools are providing assistance for Syrian refugees. Want to participate? 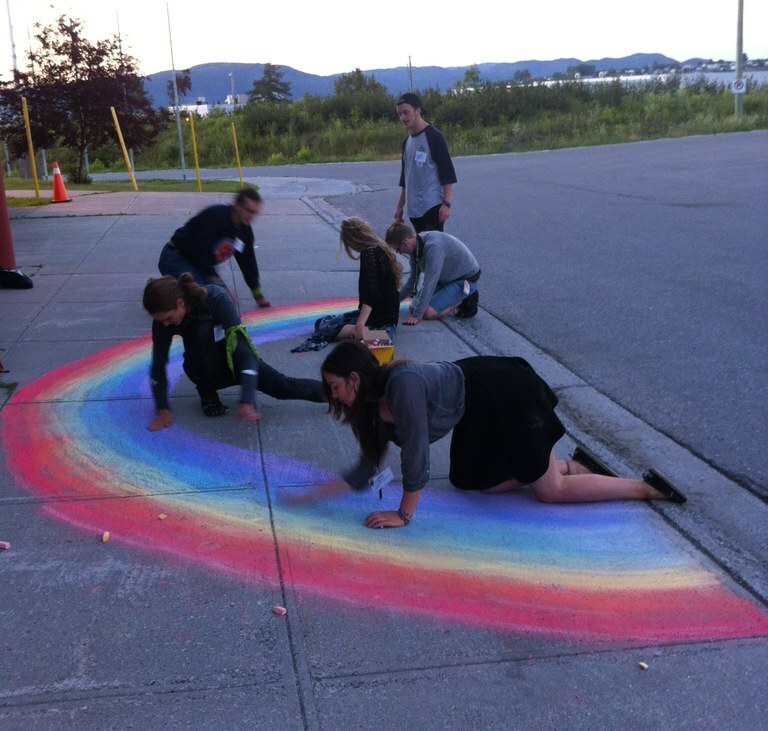 This link lists some of the many youth groups in Canada and the work they are doing to promote social justice.